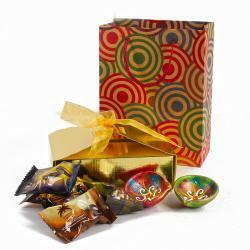 Product Consists : Delicious Imported Assorted Chocolates (Weight : 200 Gms) along with Set of 2 Designer Metal Diya with Tealight Candle and Diwali Greeting Card. 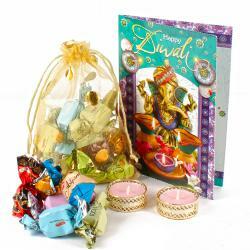 Do not waste time just go and get this amazing hamper of delights. 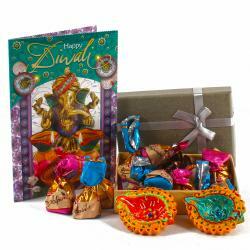 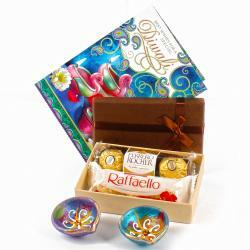 This pack contains Delicious Imported Vigos Chocolates in a Goody Bag this Chocolate gives happiness to your family and friends and to Express your heartfelt wishes for your loved one on the auspicious occasion of Diwali with this appealing greeting card and the diyas which are filled with wax and is ready to add enormous glow on the Diwali Eve. 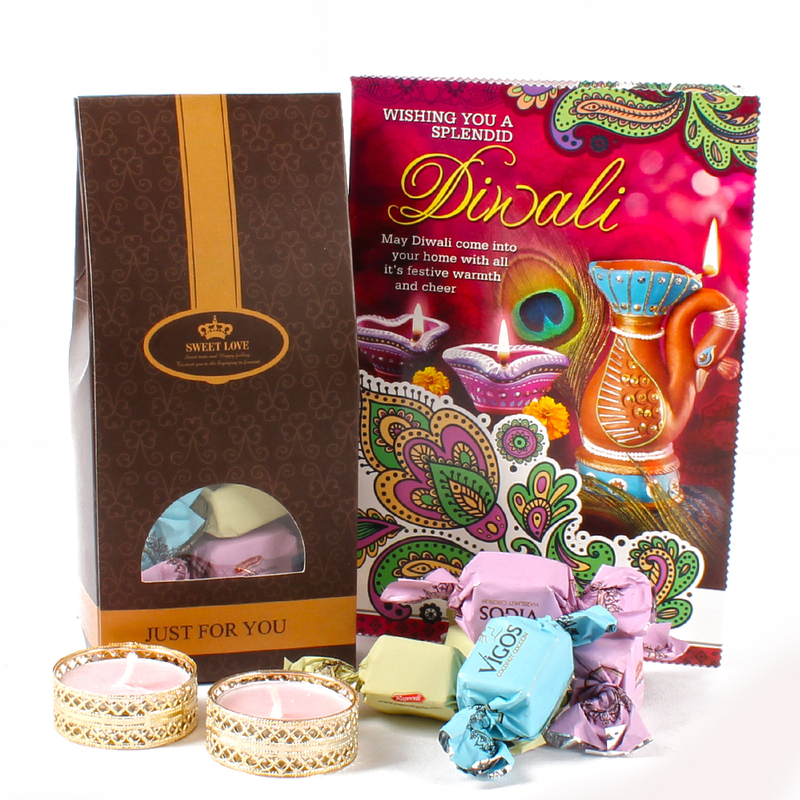 This hamper includes : Delicious Imported Assorted Chocolates (Weight : 200 Gms) along with Set of 2 Designer Metal Diya with Tealight Candle and Diwali Greeting Card.